Displays an alternate image on mouseover the products of categories! The module requires no configuration. With the rollover, the customer sees a different view of the product and is tempted to go into the product page! 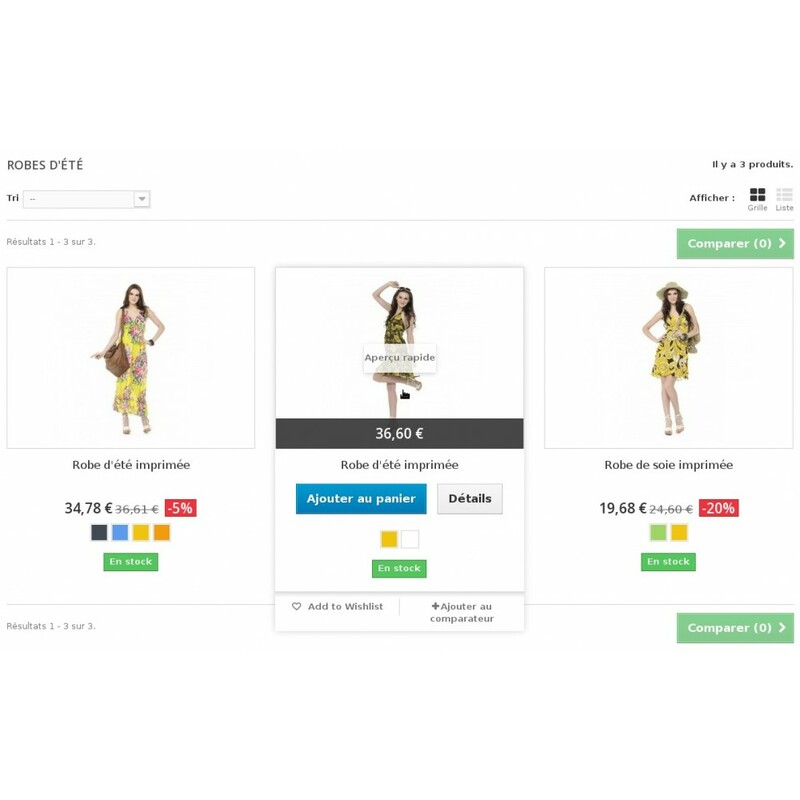 Without going into the product page, customers see an other view of the product through a rollover. Also the products will be further forward and develop the curiosity of your customers. No configuration is necessary. 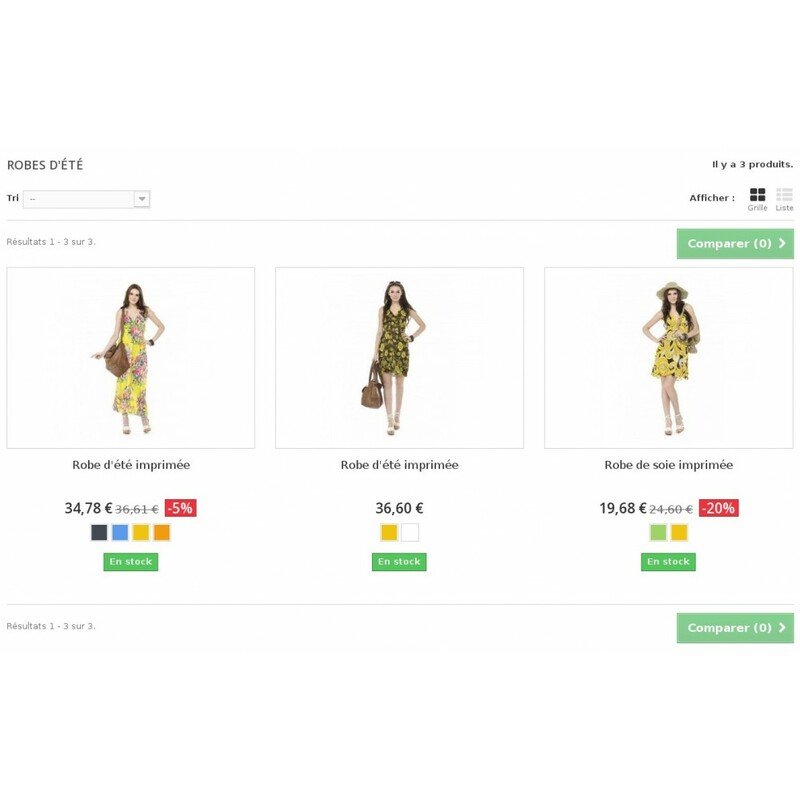 You do not need to select which product image is the second view. The second image will always be the second product image. If the module does not work properly, we undertake to repair! The module retrieves alternates images using ajax when loading pages. For the client it'is transparent, there is no latency time. On the other hand, for the server, it does two loads. To avoid this, it is possible to modify the templates to integrate the information that the module needs. Everything can be done on themes/default-bootstrap/produit-list.tpl or for 1.7 : themes/classic/templates/catalog/_partials/miniatures/product.tpl. You must also add the class "js-rollover" to the product image and the attribute : data-id="".